Austin Board of Realtors reported for Oct 2008 Real Estate Market Indicators. The year to date days on the market in Oct 2008 was 68 days compared to one year ago at 56 days. In September 2008, there were 1717 pending sales, but in the month of October, only 1,188 transactions closed. That is about 500 transactions that are still pending or failed to close. Even in this buyers' market, economic uncertainties may sabotage a real estate transaction. 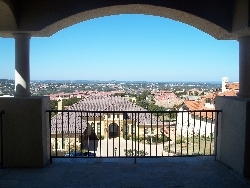 Overall, Austin Real Estate Market is still stronger compared to the national real estate market. For more info, see the original October 2008 Austin Market Indicator report and send email to Susie at Susie@JoaRealty.com for any questions.